If you’re a regular follower of this blog, then you’ll know that I recently starting working on a new project titled ‘Flaws of Perfection’. You can read more about the concept here. Although I initially planned to photograph just adults for this project, after some thought I decided to photograph a handful of children to complete the series. Freya’s Mum got in touch to say that she would love to be involved in the project. Freya has beautiful red hair and stunning blue eyes, so after some discussion, we agreed on a local park as the perfect location to shoot the session. It’s not often you get a sunset as beautiful as the one we had for Freya’s session, so we decided to stop out a little longer and make the most of the incredible light. 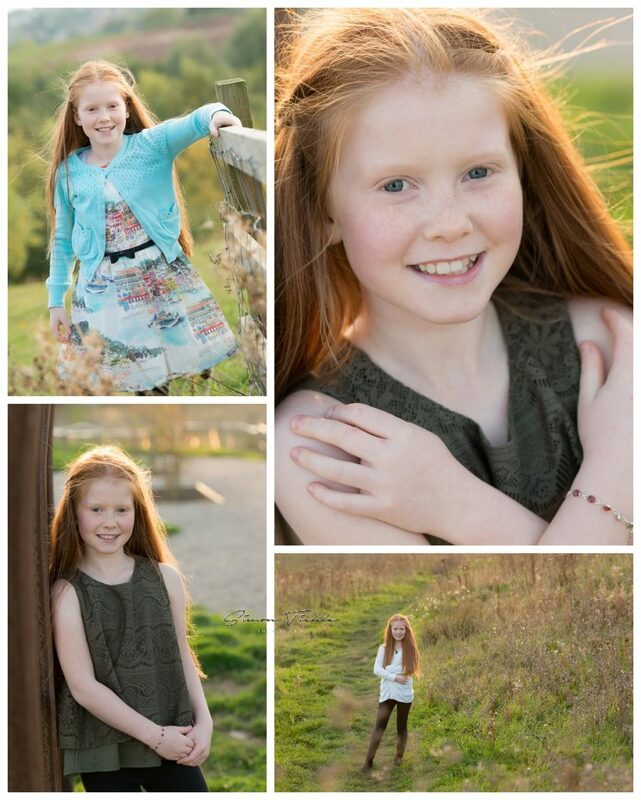 Great work Freya – I hope you love your images as much as I enjoyed making them. If you would like to book an outdoor portrait photoshoot for your children, why not drop me a message. There’s some fantastic locations around Mansfield!